Thank you for your choosing Coeuspow Bluetooth music hat ,Enjoy easy listening music and stay connected with hands free calling . Simple yet stylish. The total weight is 4.9 ounces, . You will feel nothing for a long wear . 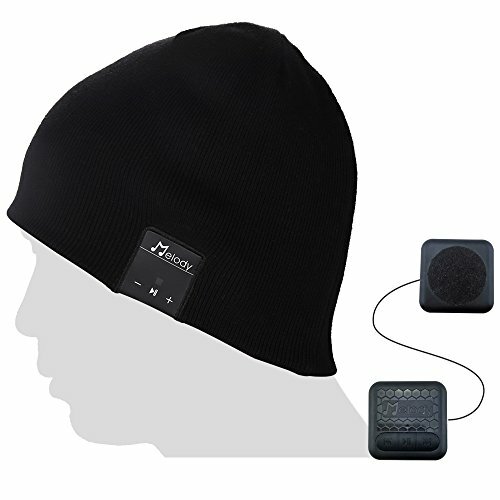 Soft Warm Beanie Hat with Built-in Microphone and HD Stereo with Hand-free Calling and Listen to Music Outdoor in Winter. 2.Pairing:press the ON/OFF button of the control panel,you will see the BLUE-RED light blinking,it will automatically enter pairing mode. 3.Make sure you turned on the bluetooth on your phone,search headset model on it.